The fraud allegedly committed by Nirav Modi on the Punjab National Bank brings me back to what I have been arguing for the last several years. The legacy of Indira Gandhi is toxic and the Indian economy must be cleansed of it. It is now clear that PSU management is not fit for purpose, nor is there any point in just merely consolidating the banks. In replying to the debate on the President’s speech, Narendra Modi made a critique of the Congress years. He criticised Jawaharlal Nehru for the faulty economic strategy chosen. But the Nehru years had a growth rate of 4.8 per cent per year for 10 years. It was Indira Gandhi whose policies set the economy back, nationalised too many industries and gave a free hand to government corruption. When she nationalised the banks in 1969, Indira Gandhi said she was doing it for political reasons. It was partly to force her finance minister Morarji Desai to revolt and partly to secure illegal finance for the Congress for the future. It is nationalisation of banks which has been the Royal Road for the nexus between crony capitalists and the government in Delhi. Until the arrival of the BJP in 2014 with an outsider Prime Minister not schooled in the give and take of Lutyens Delhi, the cosy relationship continued. The huge mass of NPAs was the result, with credit famine for businesses the consequence. It is now clear that PSU management is not fit for purpose, nor is there any point in just merely consolidating the banks. The government should privatise the banks as soon as it can. The PSU banks have been a drain on the economy and a huge cost to the taxpayers. If India is to reach middle-income status within 10 years, it needs to liberate its economy from the incubus of the public sector. India has not had sustained high single-digit growth rate for even one decade, let alone three as Japan, South Korea or Singapore have had. It is not that these countries did not have an active State. They did, but it was a smart State. The rapid growth of Asian economies was due to the shrewd marriage of a smart State and an enterprising private sector. India lacks a smart State. It may be that with a general election looming, over the next 12 months, banks are unlikely to be privatised. 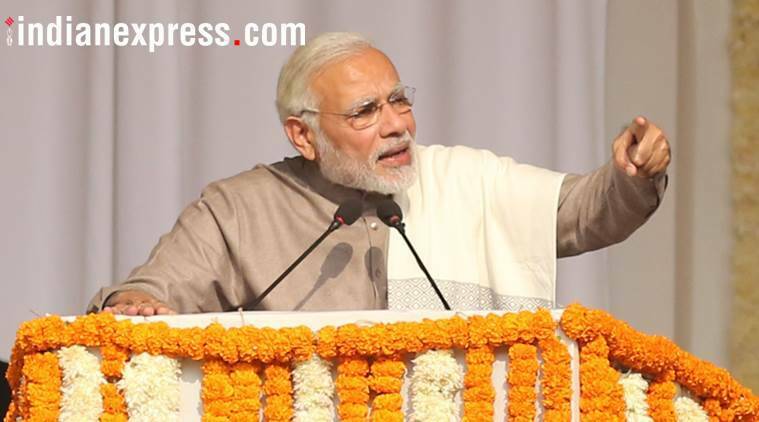 But, once he is re-elected, Narendra Modi should undertake a root and branch reform of the public sector enterprises starting with the banks. Corruption cannot be removed while there is a large public sector which affords politicians and bureaucrats opportunities for patronage and rent seeking. Removing the root cause of corruption should be the priority in the second term. It is overdue. 1 Fifth column: Only one bank robber?